Evan was only just saying we needed more LEGO Minecraft, and whaddya know, LEGO builder Chris Malloy obliges. 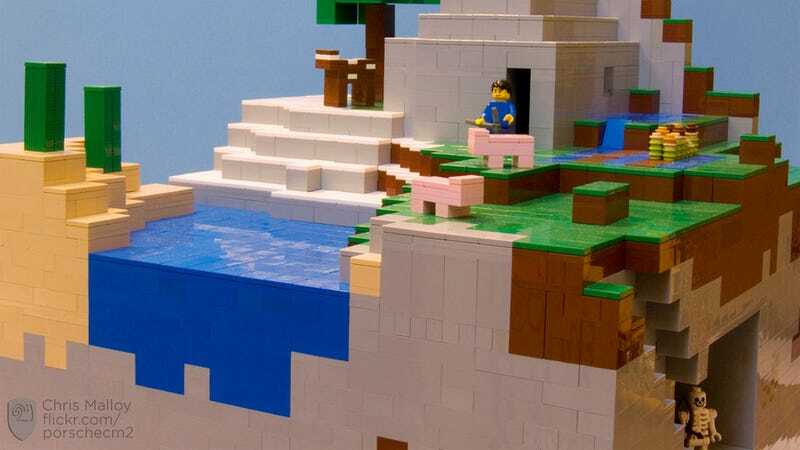 This set, originally built last month, brings one of the inspirations (and lasting causes for its success) for Minecraft full circle, with blocky land, blocky trees and blocky pigs. And that's just the surface! The set is actually an entire slice of a Minecraft world, underground nasties and all.